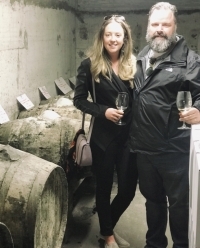 Marotta's general manager, Alexandrea Quinn, with her uncle, the restaurant's owner, Brian Linihan, visiting an Italian winery. Staying true to Brian and Alicia Linihan’s original vision and taste, Marotta's, the Lee Road landmark, will close Feb. 3 for an estimated six-week renovation that promises to retain the warmth and charm that customers have always loved. 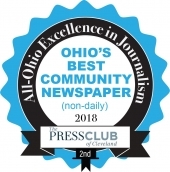 According to the restaurant’s general manager—and the owners’ niece—Alexandrea Quinn, customers can expect a gentle facelift that includes updated tables, chairs, paint and light fixtures. “Brian wanted to add a room for private wine dinners,” said Quinn. Changes will include an expanded offering of wines and cocktails. While the menu will stay the same, customers will notice more aperitifs, staff guidance with the all-Italian wine list, plus encouragement to dine slowly and enjoy their tables, unhurried, post-meal. A family-run business, Marotta’s first opened on Lee Road in 2000. 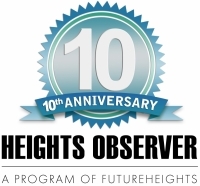 The Heights community surrounded the family with support when co-owner Alicia Linihan died suddenly in 2016. Having grown up in the restaurant, Quinn knows how to preserve Alicia’s vision while ensuring the business will thrive across decades. “Aside from having four happy, healthy kids, this is Alicia’s legacy,” said Quinn. For updates on the renovation and re-opening, follow Marotta’s on Facebook and Instagram, or visit www.marottas.com.